The National Park Service (NPS) celebrates its centennial on August 25, 2016. From Maine to Hawaii, the breadth of NPS includes parks, seashores, monuments, Indian reservations, and historic sites. America’s parks are filled with an abundance of natural wonders: glaciers and rivers, flora and fauna, animals and insects, canyons and sand dunes, stargazing and camping. 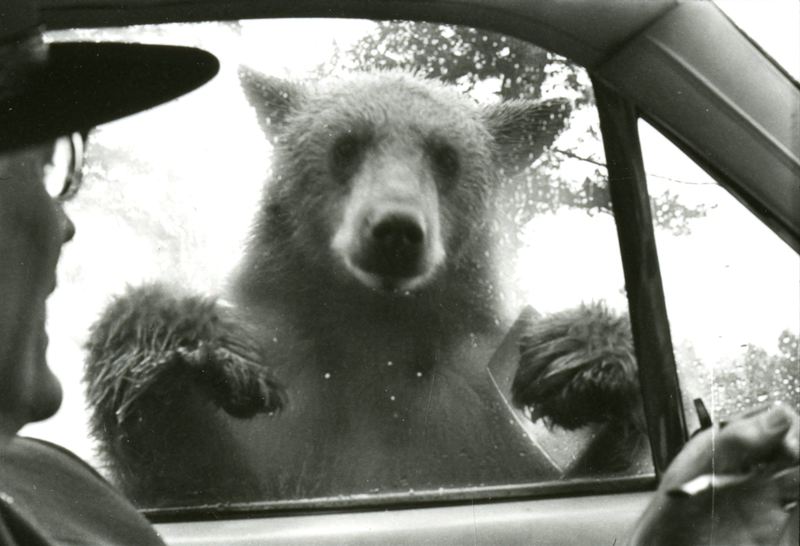 A bear “greets” a visitor in a national park. Public Health Service at work in the national parks, 1960s. Yellowstone became the first national park in 1872, and later, through the Forest Reserve Act, Congress enacted the protection of “forest reserves.” Over a period of sixteen years, three presidents added more than 150 million acres of forest and parkland, including Sequoia, Yosemite, Mt. Rainier, Crater Lake, and Glacier. Beginning in 1901, Congress enacted multiple pieces of legislation to protect the country’s parks and monuments, the foundation of today’s NPS. President Woodrow Wilson signed the Organic Act of 1916, which created the NPS, to establish the conservation of nature and wildlife, and the preservation of historical landmarks and structures. In 1935, the Historic Sites Act broaden NPS’s responsibilities of historic preservation, including presidential homes, Civil War battlefields and cemeteries, and the C&O Canal. By the late twentieth-century, the scope of NPS expanded to include the Land and Water Conservation Fund, National Wilderness Preservation System, National Historic Preservation, National Trails System, and National Wild and Scenic Rivers System. Excursions from urban areas to the national parks continue to offer public health benefits to Americans: fresh air and water, sunshine, and cooler temperatures in summer; visiting the parks helps restore physical and psychological health to those who languish. Medical facility in Yellowstone National Park. In twentieth century Europe, “taking the cure,” a phrase meaning to visit a mineral spring or other natural area for health reasons, became highly fashionable. 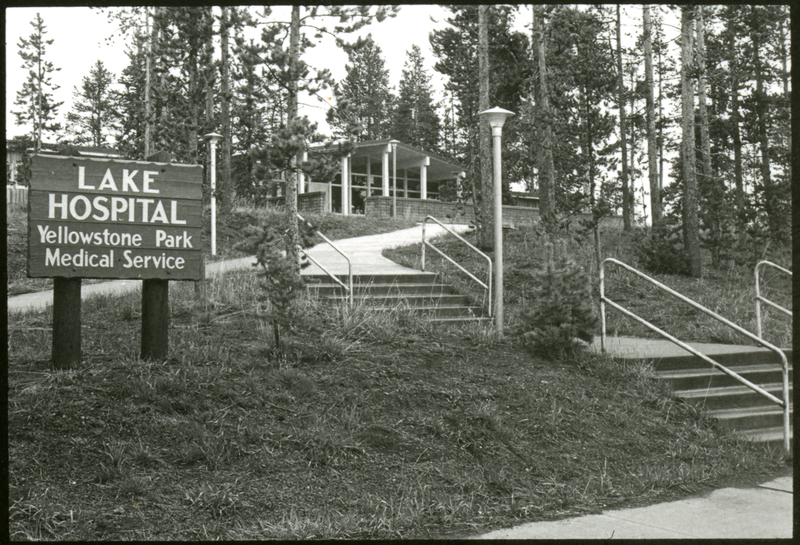 In the United States, following the American Civil War, bathhouses and hotels near natural areas grew in number as hot springs became popular resort attractions. The U.S. military had the same idea. Hot Springs, Arkansas, for example, where over forty springs rise from the mountain’s base, became the site of the first joint Army-Navy military hospital. In 1882, President Chester A. Arthur signed a bill authorizing the hospital, which became the army’s primary facility for patients afflicted with arthritis and paralysis. 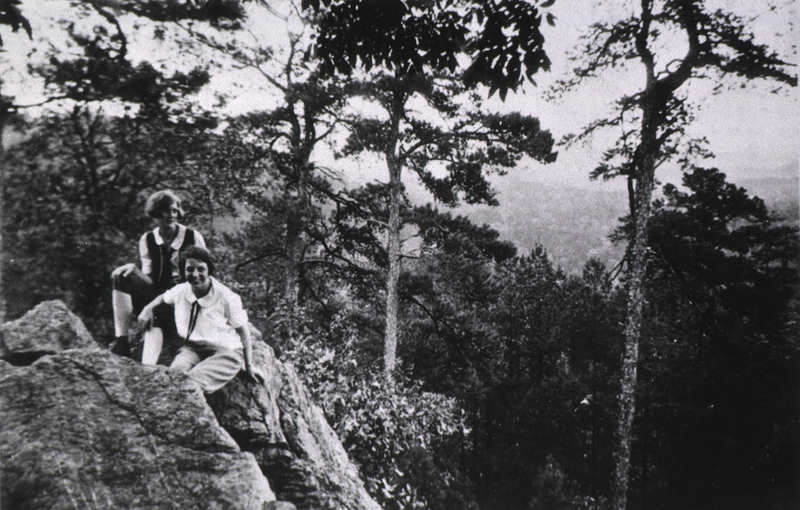 In 1921, Congress designated the Hot Springs area a national park. Returning military personnel who suffered from severe wounds and/or loss of limbs in World War II took advantage of the hydro-therapy treatments available at the facility. 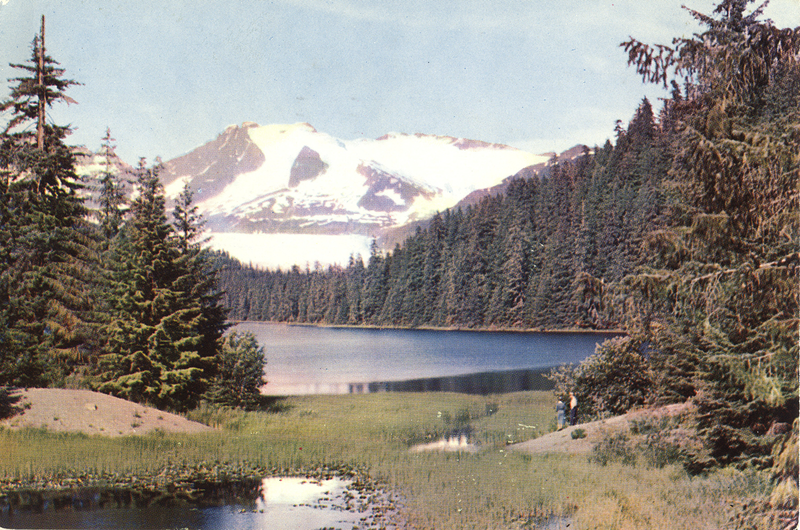 During World War II, national parks offered nature’s healing to military patients, doctors, and nurses. The Navy and Army departments built rehabilitation hospitals in Sequoia, Carlsbad Caverns, Grand Canyon, and Yosemite. 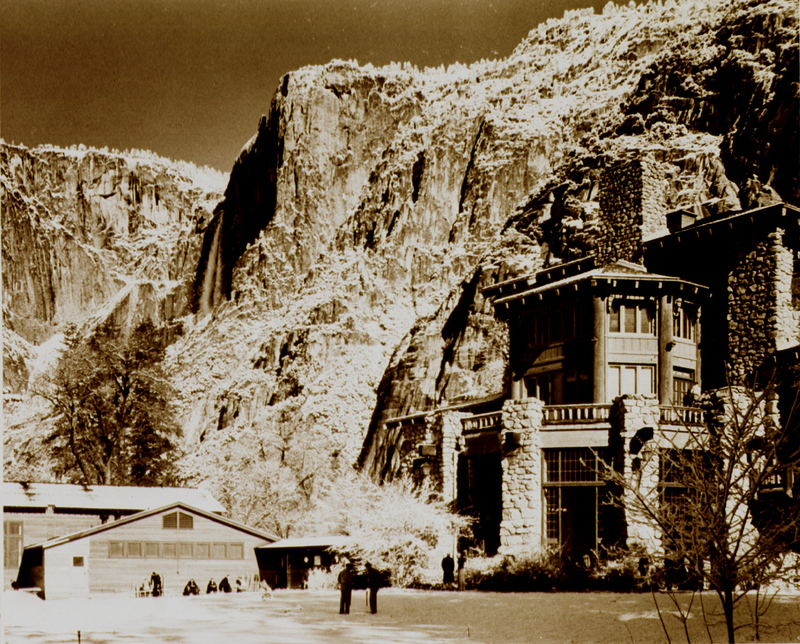 Under the direction of the Navy Department, the Ahwahnee Hotel in Yosemite offered injured military personnel a place to convalesce. Similarly, the Army built a rehabilitation camp in Denali National park where nearby military personnel soldiers could fish, hike, skate, and relax. Cabins built near these hospitals for the families of patients and staff contributed greatly to everyone’s morale. For many people today, the outdoors’ tranquility and expansiveness serves as a tonic to calm nerves and revive energy. Areas for healthy recreational activities, observing nature, and learning about cultural heritage are preserved all over the country by the National Park Service and support the health and well-being of people today and for the future generations. Each national park offers unique environments and educational opportunities. You can experience: biodiversity of shorelines and woodlands in Acadia (Maine); conservation of two thousand stone bridges in Utah’s Arches National Park; aurora borealis over Denali (Alaska); endangered marine life in the barrier islands of the Gulf Islands National Seashore (Florida and Mississippi); and fossil formations in Zion (Utah). Natural wonders call to us to pause and renew our senses. As we celebrate the NPS, we welcome you to share your experiences of a national park or historic landmark. Anne Rothfeld, PhD, is a librarian and historian in the History of Medicine Division of the National Library of Medicine. I hadn’t considered our National Park system a component of Public Health previously, but it makes solid sense! It also compels me to try to safeguard the National Park system even more. Thank you for a new perspective for me. You’re welcome! Thank you so much for your comment, it means a lot. It’s exciting to explore the many varieties of intersections of health and history. Thanks for stopping in, and for sharing your experience of our National Parks.